There’s something dually both witty and inspirational that’s supposed to put here about building blocks, steps forward, and such. There were tremendous steps forward. That’s all well and good. However, it also marks a turning point. The age of moral victories is at an end. The age of marking progress with graduating players from Junior or A to the show is over. Progress is now measured in postseason victories. 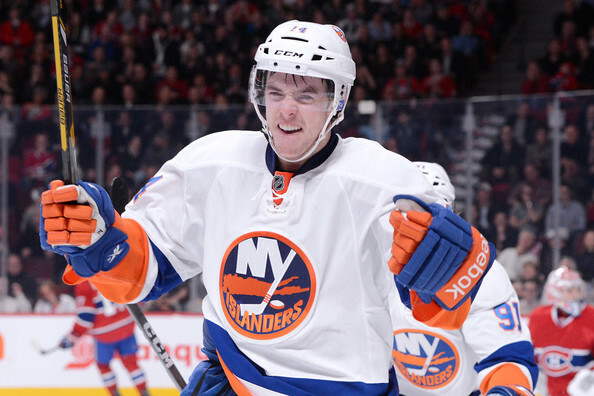 The New York Islanders finished 14 wins from the Stanley Cup. The season is a success next year if that number decreases by 2 or more. Win a series. That’s the bar. However, before we look ahead, we need to look back on the 54 games this past season. Who is moving up and who is moving on? The crucible of playoff hockey forges players with consistency issues into legends. It’s how Joel Ward got a 4 year contract from a team. When teams can’t build a playoff capable nucleus through in house development, you overpay for grinders who occasionally pot a clutch goal. Thankfully, Long Island made the postseason this year and enabled us to take a gander at what these guys can do with the pressure dialed up to MAX. The funny thing about playoff performers though, is that they are dependent on regular season performers to get you there. With that said, let’s have a look at who elevated their game once the team punched their ticket and who did the ticket punching. 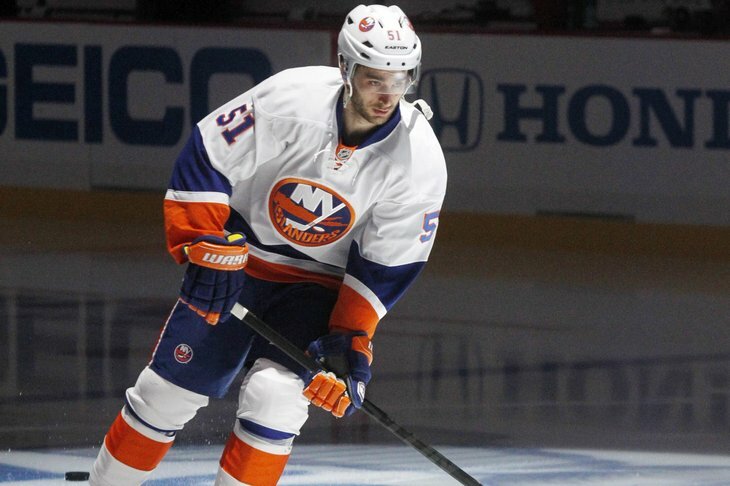 Johnny Tavares: The Franchise. Johnny Boy carried the workman’s load most of the year. He strapped it in every game and finished with 47 points in 48 games. Everytime the whole thing came dangerously close to going off kilter, there was 91 to right the ship. In the dying seconds, again and again, it was Tavares. With help from one of his running buddies, JT would step up when it was time to make the doughnuts. Think back to the put away goal late against the Caps, it was Johnny on the spot capitalizing on some dogged work by Matty Moulson. 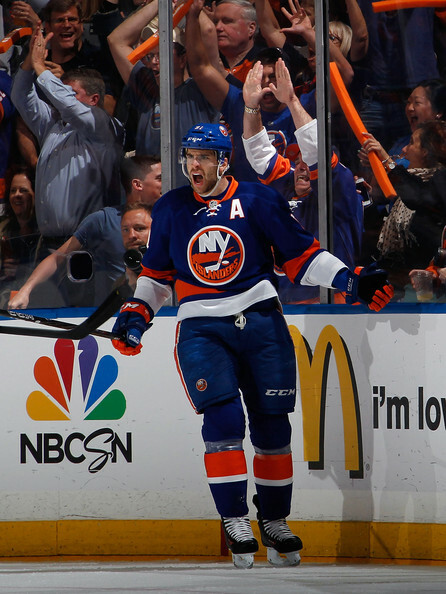 On the goal that punched the Isles ticket to the postseason against Carolina? It was Tavares again, taking advantage of the net drive by Kyle Okposo. The crowd exploded when JT took a feed down the wing from Brad Boyes who had just detonated Mark Eaton. The franchise deked once, got Martin to open his legs and used that as a screen to pop Fleury’s water bottle. Maybe ten players on the earth have the hockey sense, positioning, core strength, skating ability, and hands to make all these plays. Maybe 10. He is the flagbearer for the house of El. He does not kneel. He is your national hockey league MVP. Josh Bailey & Kyle Okposo: If we accept that Tavares is every bit as good as he appears, we understand to perform his greatest feats (like getting the Islanders to the playoffs), Superman still needs the Justice League. Okposo and Bailey have mirrored each other in so many ways. Rushed to the show, expectations because of their draft status, and maddening inconsistency. Somewhere along the way, they found themselves. Joshua found himself not as a centerman, but at the wing, where his puck distribution and tenacity along the half wall in his own zone suit him well. 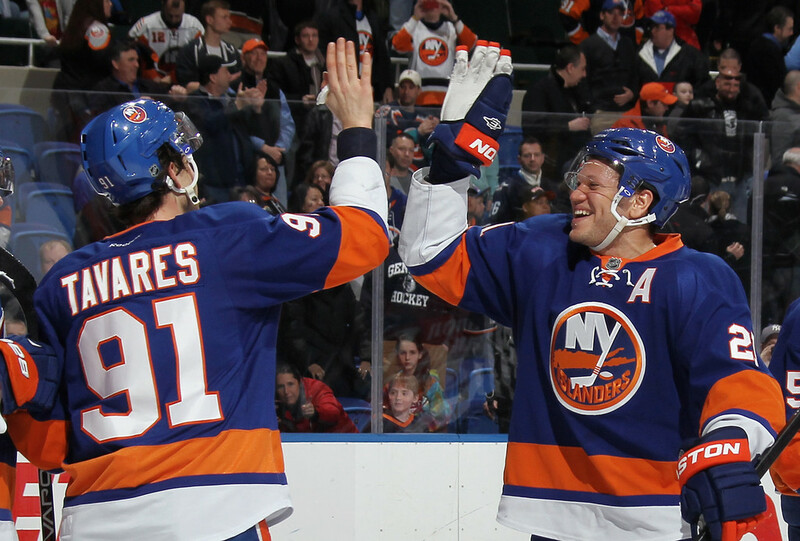 Kyle Okposo is a dominant player when his head is right, he lowers his shoulder and he drives to the net. His physicality fuels his game. This was on display during the postseason, but also the last quarter of the regular season. When JT faltered slightly, these 2 were the Brave and the Bold, picking up the slack as needed. Their coming of age was humongous. 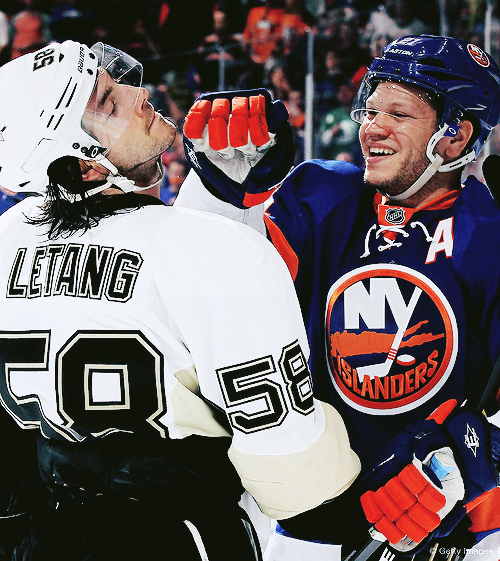 When the team needed a lift, Kyle Okposo’s fists found Matt Niskanin’s face. When JT needed a jumpstart, it was Bailey tabbed to turn the engine over. Frans Nielsen: The Great Dane’s inadvertent deflection of a Pens point shot to tie game 6 was what the uninitiated took away from the season. Matt Martin, Colin McDonald, Casey Cizikas: This fourth line had a plethora of big hits and big goals. None bigger than Zeke’s giant tally to stop the bleeding in Florida. Or C-macs twin killing in Philly. Or his spark that started the inferno against the Rangers. And oh yeah, Matt Martin led the league in hits, AGAIN. Mike Grabner: The Gremlin potted 16 lamplighters, his dogged work on the PK reminding everyone what he looked like in his calder finalist campaign. He’s an omni present threat. He alters the opposition’s plan on the PP. He has a unique, singular skill, that is unmatched in the league. They don’t teach speed, and there’s not a burner in this league with wheels like MG40. The Young (Old) Guys on defense: brought it the last 30 games of the regular season. Once Lubomir Visnovsky got acclimated and lessened their load, 47 and 3 dialed it in. They showed the ability to eliminate, agitate, infuriate, and intimidate the best players in the world. This was never clearer than Travis Hamonic serving a piece of humble pie to Evgeni Malkin at the end of game 4. These 2 took giant strides. The future is limitless. Hamonic, describing MacDonald’s loss to an injury, sounded like a gilted loved. These 2 are inseparable and their chemistry is an asset going forward. The New Guys, young and old – Brian Strait and Thomas Hickey were both 6th or 7th D on their respective cup contending clubs, both sent down to get top line pairing minutes in the A. Garth Snow had other ideas and decided to bolster his defensive depth by claiming the pair. To use talent evaluation parlance, both ‘flashed’ huge during the course of the season. Strait added physicality and snarl. His defining moment to some was his overtime takedown on Crosby that netted the game ender. Firstly, the call was dubious. Secondly, the defining moment actually occurred one game prior when he pancaked 87 and drew a PK when the Penguins came unglued, which yielded a tying goal to the Isles. Quickly, in their desire to scapegoat, fans and hockey pundits forget he was trying to match the best player in the world. Not bad for a kid in his first full year in the show. Likewise, Thomas Hickey made an impact learning to activate into the play under the tutelage of Lubomir Visnovsky, learning when to pinch and when to stand up at the line. Hickey’s OT winner in Montreal is seared into my mind. The development of MacDonald, Hamonic, Hickey and Strait was all aided by the arrival of the wayward Visnovsky. Much was made of his circular path to the Island. All he did once he got here was produce. And then sign an extension. Huge pickup by Garth Snow. His extension coupled with the acquisitions and steps forward by a great many younger D means what exactly for Mark Streit? That was a look at who stepped up. In the next installment, who is stepping out? This entry was posted in NY Islanders and tagged Andrew Macdonald, Casey Cizikas, Colin McDonald, Frans Nielsen, Isles, John Tavares, Josh Bailey, Kyle Okposo, Matt Martin, Mike Grabner, season recap, Travis Hamonic, your mvp is john tavares not the vampire or caveman. Bookmark the permalink.